Use SIM cards from multiple network carriers. How to unlock my Vitel phone with doctorSIM? Release your Vitel cell phone from its current network in 3 simple steps and start lowering your monthly phone bills immediately. How long will it take doctorSIM to unlock my Vitel cell phone? The exact time it will take to unlock your Vitel will depend on the network carrier and the unlocking service required to unlock your cell phone. The Average Delivery Time is the average time it took to process the last 20 unlockings and the Guaranteed Delivery Time is the maximum time it will take us to send you the unlock code. All our delivery times are in business hours/days, but we also send codes on the weekends and public holidays. How much do you charge for the unlock code? Similar to the time frame, the price of the unlock code depends on several factors including the network to which the Vitel is locked and the unlocking service selected. Any discount or special promotion will be included in the price. Can I switch to any network if I unlock my Vitel? 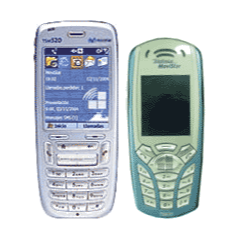 Once we've unlocked your cell phone, it will work perfectly well on any compatible GSM network in the world as long as it has not been reported by the original carrier. Unfortunately, due to the different technologies used, your Vitel will not work on CDMA networks such as Verizon, Sprint and Virgin Mobile in the United States. What is the meaning of 'reported by the original operator'? Now and then, a network carrier will report the IMEI number of a cell phone due to loss, theft or because the owner has fallen behind on their payments. When a cell phone is blacklisted, it will almost certainly not work on any network in the country of origin. There is, however, a possibility it may work abroad but doctorSIM will not be held liable if not the case. Has your cell phone been blacklisted? Remove all doubt with our Vitel phone check service which scans the databases of hundreds of network carriers. Simply type in your cell phone's unique 15-digit IMEI number and we'll send you a detailed report in seconds for free! My Vitel has been blacklisted according to your Blacklist Check. Can I still unlock my cell phone? Yes, you can still network unlock your cell phone, however, it will not work properly until it has been removed from the blacklist by the network carrier that reported it. Contact them for further assistance. doctorSIM's unlocking services can only release phones from their network and cannot remove this additional security restriction. What happens if the unlock code doesn't work? If the code we send you fails to unlock your Vitel for any reason under our responsibility, we will issue you a full refund. We will be unable to return your money if your cell phone is blacklisted, already unlocked, has any software and/or hardware modifications or the IMEI number provided is incorrect. Will unlocking my Vitel affect the warranty? No. Unlocking your cell phone will not void the manufacturer's warranty. In fact, our professional IMEI-based method of unlocking cell phones is the only unlocking method officially recognized and recommended by Vitel and the rest of phone manufacturers and network carriers themselves. Permanent: your cell phone will be unlocked forever. Your Vitel's warranty remains intact. You can continue to use your phone while we unlock it. Unlock your Vitel cell phone 100% online. Fast unlock code turnaround times. Step-by-step instructions sent via e-mail 24/7, 365 days a year. Have a question? Contact our first-class support team via e-mail or chat. Legally unlock your Vitel in 3 simple steps.